This says it all. Happy Place. Just gorgeous, it spreads happiness just looking at the photo. Happiness leaps right out of the photograph! 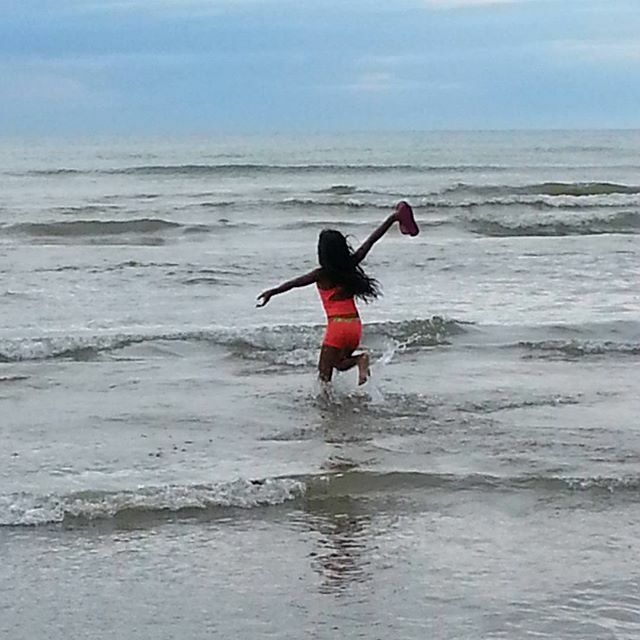 The freedom of childhood, the power and beauty of waves. We all need a house by the beach 😉 Thanks for visiting!